Are you an inspirational nurse leader? 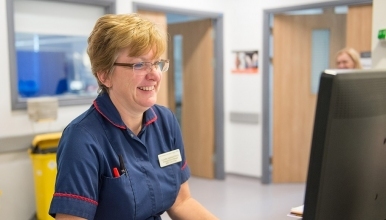 Following the promotion of our current Deputy Director of Nursing, our organisation is looking to appoint a compassionate, innovative and driven nurse into this role. This is a critical role in our organisation and we want a leader who is committed to the quality and safety agenda and ensuring it is executed well and becomes everyone’s business. You will be an experienced nurse and have a proven track record of delivery. We will be looking for a values based leader, with strong integrity and the ability to listen and support. We want a leader that inspires our Nurses, Midwives and Allied Health Professionals. As an employer we will provide full support to fulfil this role, ongoing professional and personal development and an environment that supports the post holder to progress their career.